Sadly, I feel I only write after tragedies these days. I find myself writing today, just two days after a man shot up a synagogue in Pittsburgh for the sole reason that its inhabitants were Jewish. Pittsburgh is a city close to my heart. For the past three years (and for at least the next two) I have traveled through her borders in order to attend the Sacred Music Institute (the past two years) and the St. Stephen Course residency (this past year and for the next two). I have gotten to know her people, including several I consider personal friends. 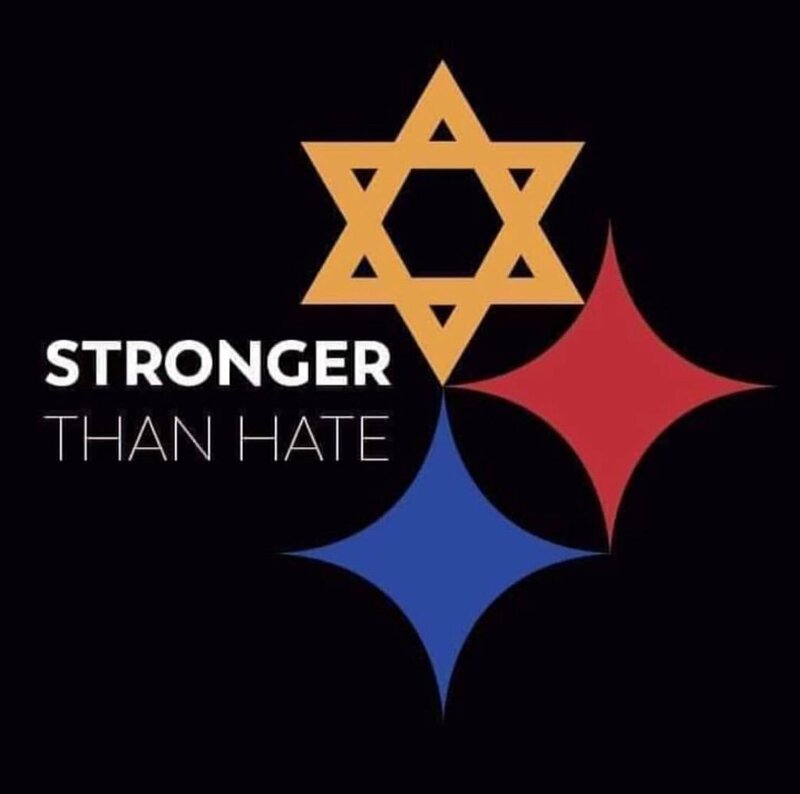 And Pittsburgh is a city of fine people, people who love, who work, who treat others with respect. She is the best of what our country has to offer. But this was not an attack on Pittsburgh. Nor was it an attack on some vacuous notion of "religion." It was an attack on Jews. Ethnic Jews. People who were targeted not because they had done something wrong, but because they are part of a group who was wrongly considered by the shooter to have done something wrong. To call this an act of terrorism is to understate the problem. Because it is not the terroristic act that moved him to do it, but the false association of ethnic Jews with all manner of evil. This was an act of terrorism, but it was a sin of the heart. The Orthodox Church has recently had some serious issues with anti-semitism. Fortunately the worst of the worst -- the high profile so-called "white nationalists" who infected certain of our parishes -- have been excommunicated. That is not to say there are not others. I'm certain there are. It is to say our hierarchs appear to be dealing with the problem appropriately. I pray they continue to do so. Those who bring hatred into Christ's Church must repent or be expelled. Their beliefs are an infectious invader upon the Body of Christ. I'm not sure what attracts such types to the Church. Perhaps it is the "old world" manner in which our troparia speak. Our parish patron's troparion, for example, includes the phrase "for when thou hast censured the Jews' madness thou sawest Christ Thy Savior standing at the right hand of the Father....." We do not intend such to be a condemnation of modern Judaism, nor of modern Jews, nor even of ancient Judaism or ancient Jews. It is a simple historical statement. But maybe that is misunderstood by people looking for justification for their anti-Christian views. And, per the title, anti-semitism is anti-Christian. Perhaps, instead, it is our roots in traditionalism. The Orthodox Church cares little whether she is perceived as backwards, old fashioned, stuck in old ways. Often, we revel in it. And perhaps those who wish to look to a previous time which they perceive as "better," a time when Jews and others were persecuted, see us as refuge for the idea that any old idea is a good idea. Perhaps, yet again, it is our own phyletism -- our own ethnic enclaves that seek to exclude and remain exclusive. Perhaps, that is, it is our own sin that draws such people in. In any of these events, or in any other, we must repent. We must repent of our failure to explain our hymnody and writings in a way that makes clear we may speak archaically, but we do not speak bigotry. We must repent of our elevation of tradition to something higher than Christ and His Church, that is, we must repent of valuing tradition for its own sake rather than valuing Holy Tradition for Christ's sake. We must surely repent of our own sins and sweep around our own back doors in regards to how we treat our fellow man. As Christians, we have a duty to reject the false divisions of this world. "There is neither Jew nor Greek, there is neither bond nor free, there is neither male nor female: for ye are all one in Christ Jesus." (Galatians 3:28). We are to see our neighbor as our brother, as one redeemed by Christ the Crucified. This is true, perhaps especially true, of our brethren who do not claim Him. For our Lord did not say to judge and persecute those who reject Him, but to love even our enemies. And Jews, Muslims and other religious groups are not our enemies, certainly not by the loosest of associations. How much more are we to love them? On the subject of loose associations, we have a corresponding duty to refuse to view our neighbor by association with some larger group, the better to tar him with. Our Jewish friends are not "Jews" (or any of the current code-word associations for people of Jewish ethnicity or identity). They are the creation of the Father. They are beloved of God. Without getting too far into the thorny issues of the exclusivity of the Christian faith and the salvation of those outside the Church, because that is a far longer and more intensive topic than may be dealt with here, suffice it to say that God's earnest wish is that everyone come to know the truth and be saved. And without reciting the various Christian heresies that lead to a belief that those outside the canonical walls of the Christian Church are our enemies, it should be sufficient for any Orthodox Christian to understand the properly basic Christian belief that judgment is not ours to render. We are to love our neighbor. Christ will judge us all. And who is to say He will judge my self-defined exclusivity and hatred less severely than another's unbelief, weak belief or uncertain belief? We are not universalists. Some will be damned. But it is not for me to say who. All of which is a long way of saying this: If you want to know how to be saved, I point you to the Church, to Christ and His Mysteries. If you want to know who is damned, I can only say that is not for me to say. And if you want to know who you are called to love, simply look around you. Love your neighbor as yourself. That is, love everyone. So it is that we offer prayers to those who lost lives, health, security, friends and family this past Saturday. We pray for all of our Jewish friends, and for those who suffer under the weight of such tragedy. We pray for all who are persecuted, hated and reviled. We pray for those who persecute, hate and revile, that they might repent. We pray for he shooter, who I will not further enshrine in infamy by repeating his name here, that his heart may be softened and his hatred be quelled. And we pray for ourselves, that we may do better. Lord have mercy on me, a sinner.